The city of Melbourne in Australia is getting its first esports bar and it may have been discussed a year ago on the popular online forum, Reddit. The new esports bar, known as GG EZ, is located on Queen Street and will open to the public in August. 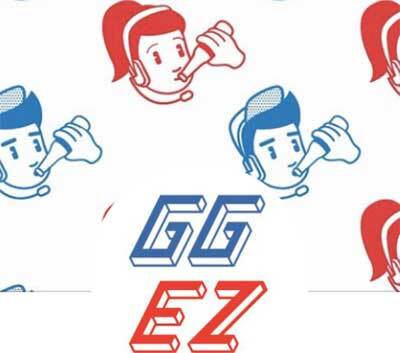 GG EZ will feature the same range of large television screens found in a traditional sports bar, but instead of a football match, the bar will be televising esport tournaments. One year ago a Reddit user, who has since deleted their account, posted in the subreddit ‘Melbourne’. The post queried other users about who would be interested in a bar in the inner suburbs “with at least four twitch screens”. “It’s about time there was a place in Melbourne to enjoy esports with others, which I’ve always found more fun than alone,” the post said. The post suggested a range of food ideas including “toasties and burgers” but the food is reportedly still yet to be determined for the Queen Street bar. However, there will be a strong emphasis on cocktails which will be coordinated by Lachlan McAlister. He has been successful in launching the Thank You Come Again venues in the city, such as Mr Wow’s Emporium. This is a stark contrast to the “house kegs” suggested in the Reddit post. While it has not been confirmed that the Redditor is behind the new bar set for Melbourne’s CBD, they did reveal that they “could make it work for a mid-2017 opening”. “I have some experience opening successful establishments, [I] really hope there’s an audience for this one,” the Redditor added. An edit to the post which received 65 responses revealed they would be working “hard to expand on the idea”. But many responses questioned the sustainability of the bar. “I think you’d do well when big events were on but you’d be best opening a bar as the establishment that just happens to have those facilities rather than that being your main focus,” a Redditor by the handle ‘Northcote’ said. These responses were written 12 months ago when esports was quite unknown in Australia. Although it is still in its early stages Down Under, the country’s esport industry is gearing up for a boom with the Australian Football League (AFL) acquiring esports teams and a number of events taking place around the country. When asked about how the bar would make money the Redditor responded by addressing the fact that a huge majority of gamers do not drink. “However, based on a random group of 40ish people (18-35 age bracket) we’ve approached there were nine who were regular pub goers,” the Redditor said. Two years ago another Redditor used the forum to seek feedback regarding a similar concept. The user who comments on Reddit under the handle ‘PixelbarAus’ was looking for opinions on an esports bar in South East Melbourne featuring “beer/cocktails, video games, couches, [and] tournaments”. Although the Redditor has named the bar, Pixelbar, it appears the user above beat them to it as the website still says “Coming Soon”.